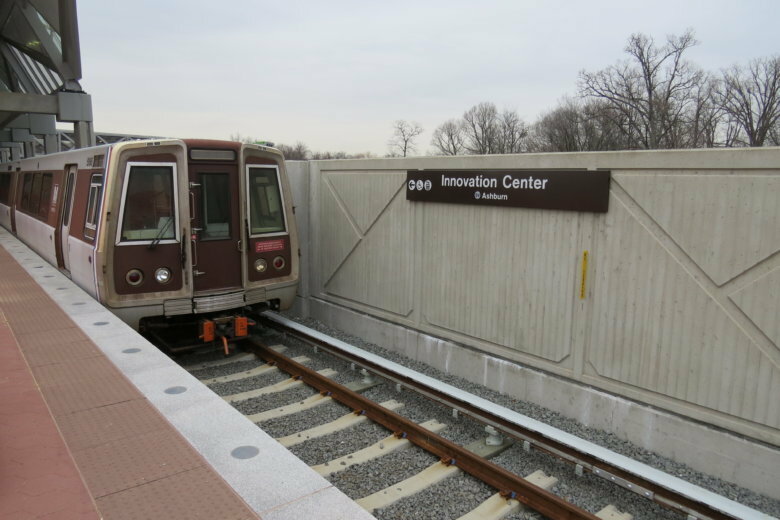 Silver Line stations and tracks could be substantially finished by February of next year, but a rail yard integral to opening the line to Dulles International Airport and Loudoun County, Virginia, may not be finished until months later. And parking garages remain on track to open by the time rail service begins, despite a handful of their own issues. The latest schedule information from the separate contractors building the line and rail yard for the Metropolitan Washington Airports Authority is still under review, and the authority has rejected previous schedules offered this winter. The update on the rail yard sets May 2020 as its substantial completion date. However, a progress report said that the airports authority and its contractor for the rail yard are “actively and collectively making efforts” to speed up construction so the yard can be completed this fall. Even with the delays, the contractors’ schedules show service could begin by the middle of next year if ongoing concerns about a number of concrete problems are resolved smoothly. There has been no agreement though on how to handle problems with concrete rail ties at locations where trains switch from one track to another. The authority has directed the contractor to replace the ties entirely unless there is proof they meet safety standards, but the contractor has submitted an alternative plan that is under review by the authority, Metro and an outside consultant. Concrete rail ties made by the same company were installed at four locations in the rail yard with no problems, the authority said, and other switch areas are due to get special inspections after work is complete. Crews are separately addressing or coming up with plans for other issues like water intrusion, cracks in other concrete, and equipment that did not meet project or manufacturer recommendations. Sealant work for incorrectly manufactured concrete panels is expected to be finished by summer. There have been additional violations of Buy America rules. The Airports Authority expects Metro to complete its own testing of the line within 60 days of taking control of the tracks after the project is designated substantially complete. In the small segment of the tracks where train testing has begun, contractors ran 54 safe braking tests in just the final week of February, about 20 percent of the total required in that area. 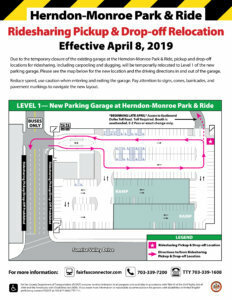 Starting next week, there are major detours tied to construction of new parking at the Herndon-Monroe Park and Ride, which is the future Herndon Metro. 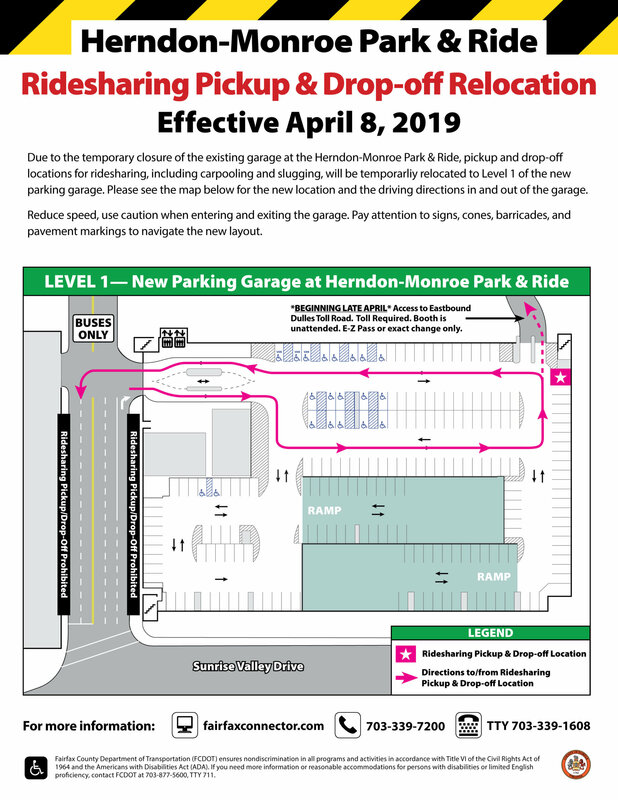 Beginning April 8, when the first three levels of the new garage open and the old garage closes for months of repairs, there will be no way for drivers to enter Herndon-Monroe directly from the Dulles Toll Road and no way to exit onto the eastbound toll road either. Instead, drivers must use Sunrise Valley Drive and the Fairfax County Parkway. The exit onto the eastbound toll road is expected to reopen later this month when toll booth upgrades are completed. The other closures are slated to last several months. The new garage will add 2,006 spaces to the 1,622 in the existing garage at the site when it opens. The other stations will have about 2,000 to 3,000 spaces at garages being built for Loudoun and Fairfax counties. At Innovation Center, an additional foundation support system has been added to allow construction to continue after some of the supports sunk. 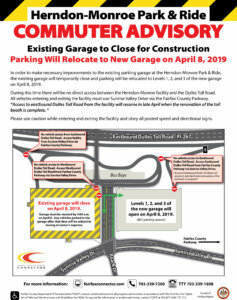 Construction resumed March 1, and the county still hopes to complete the garage by the end of this year, but promises to have the garage open when trains start carrying riders. 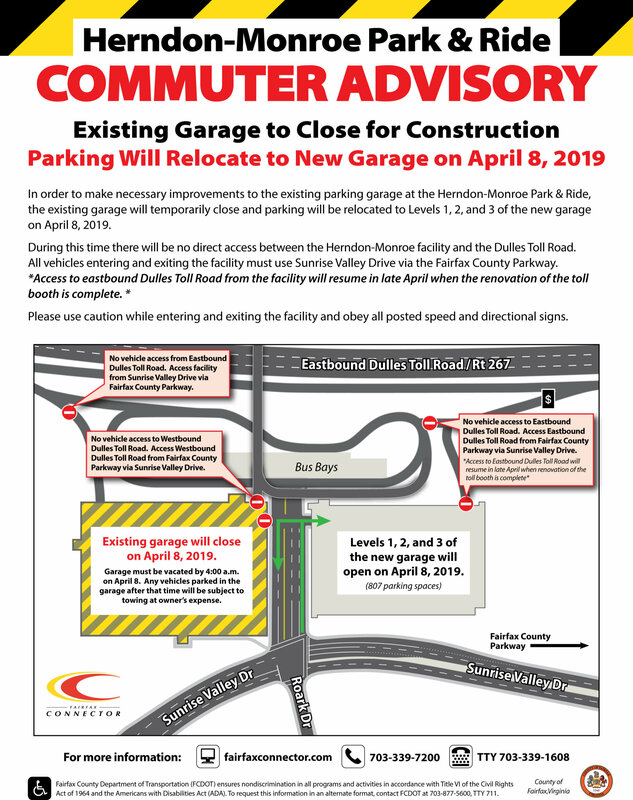 In Loudoun County, the garage on the north side of the Ashburn station has been completed. Work on the south garage is expected to be substantially finished by the end of July. At the Loudoun Gateway station, the garage is expected to be finished by the end of September.